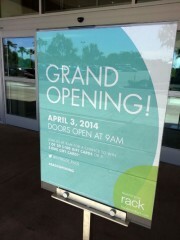 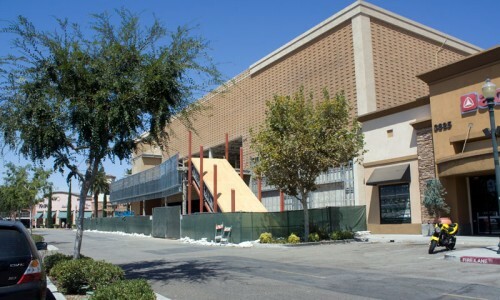 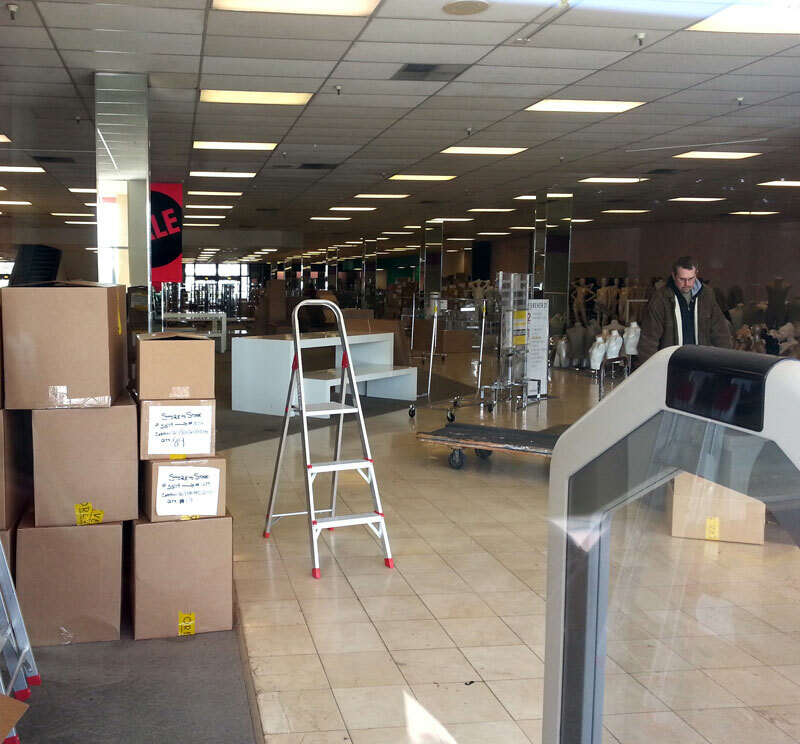 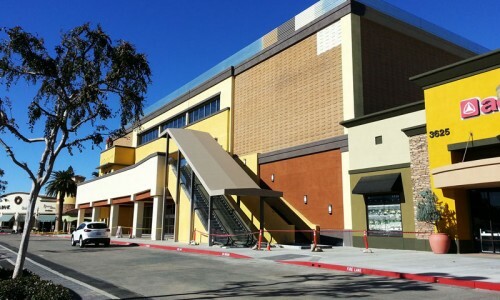 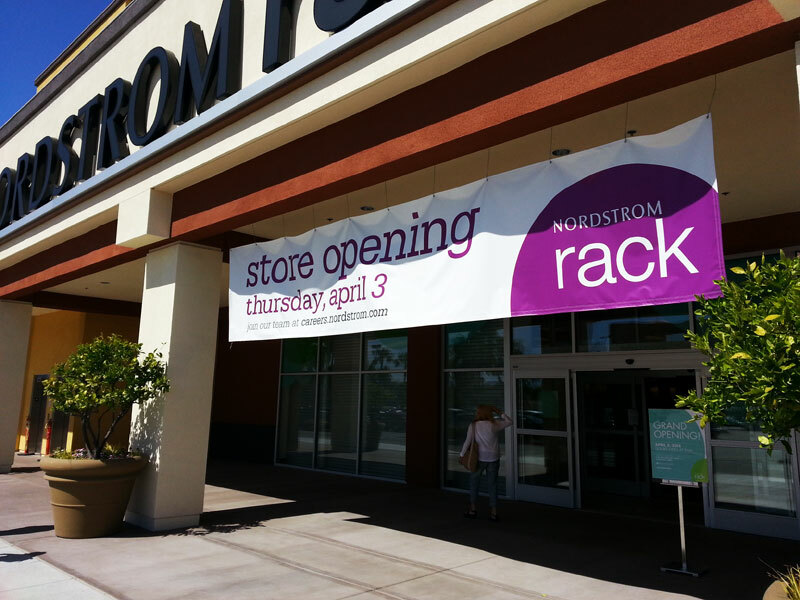 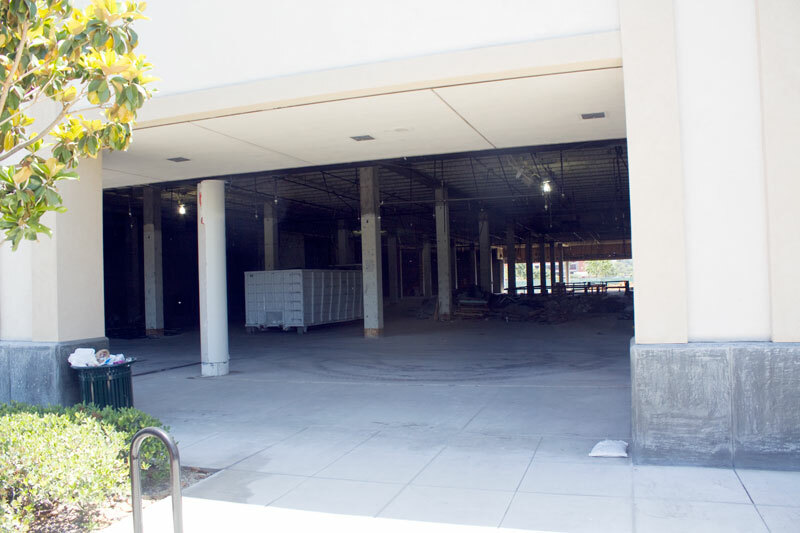 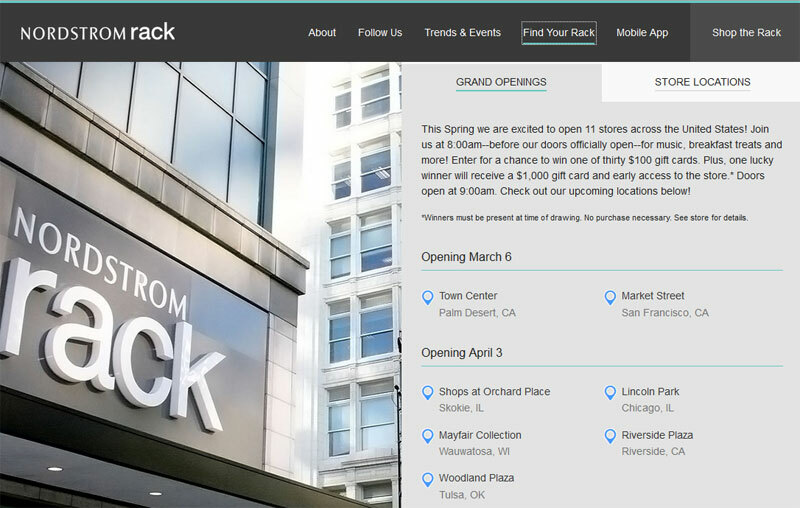 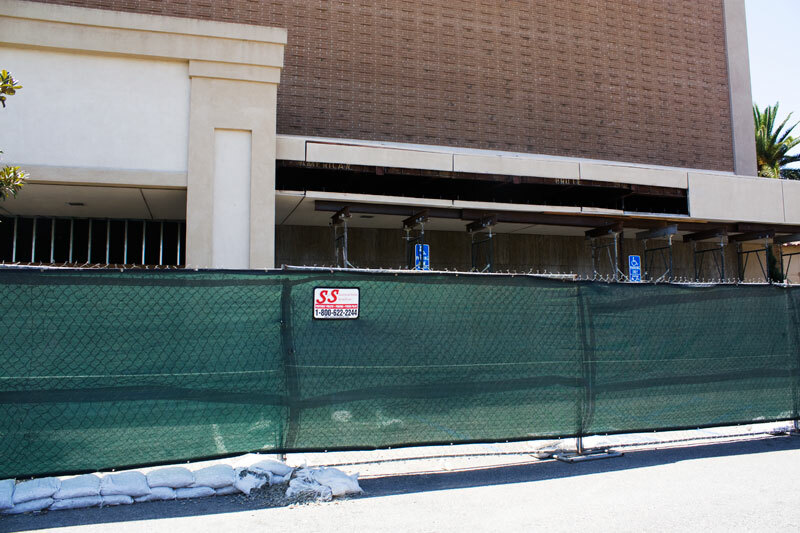 Six months after being announced, the Riverside Plaza store of Nordstrom Rack is nearing its April 3rd opening date. 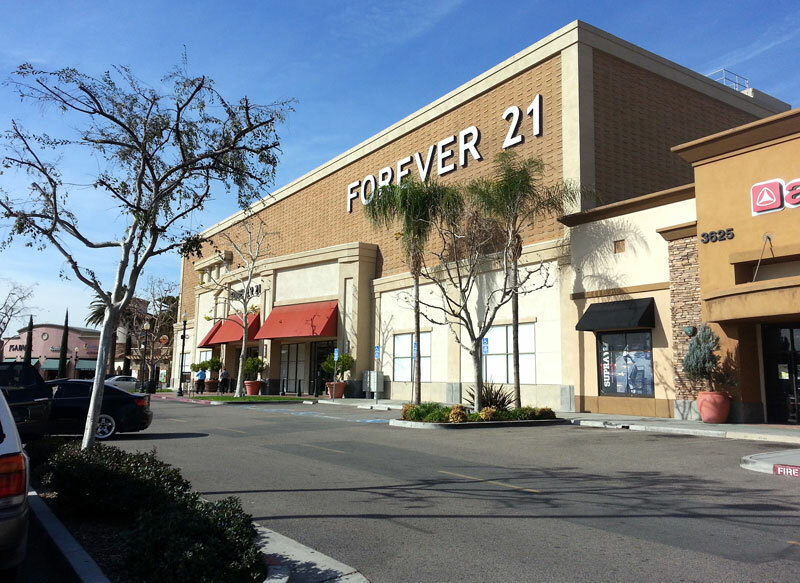 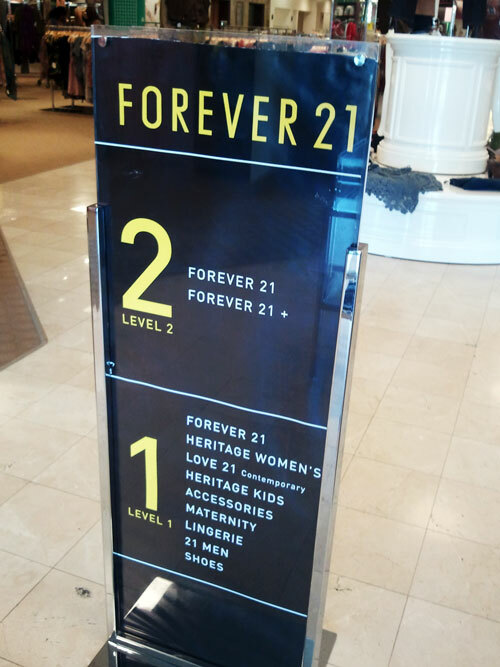 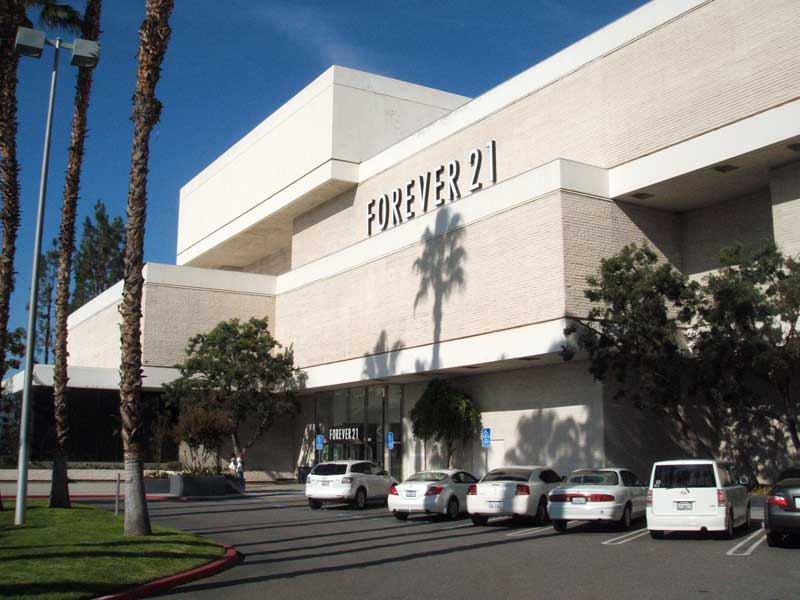 The sibling of the high-end retailer will take up residence within a portion of the former Harris/Gottschalks/Forever 21 building, taking up a reported 45,000 sq. 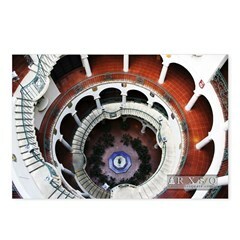 ft. on the ground level. 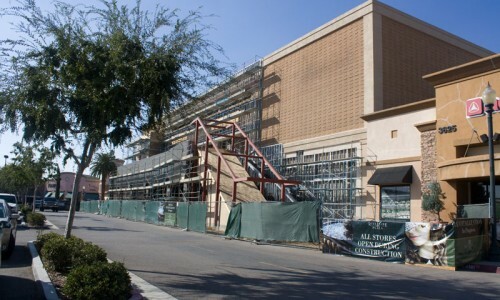 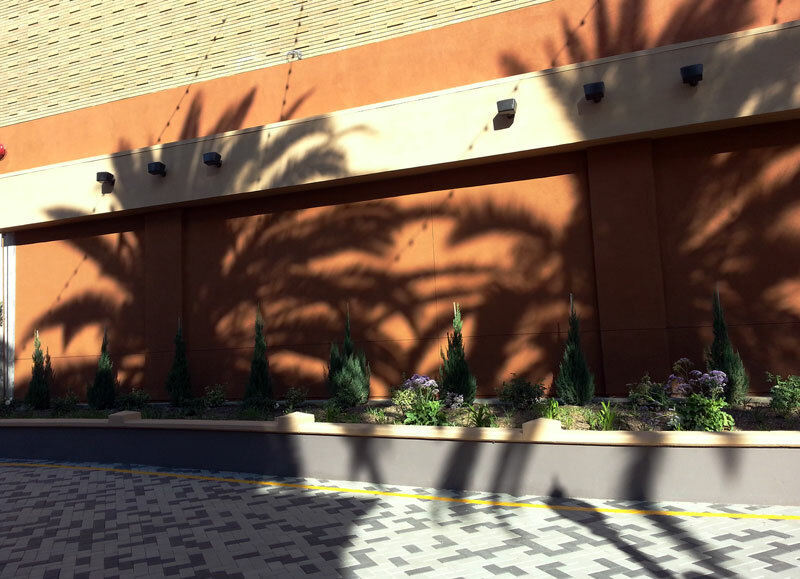 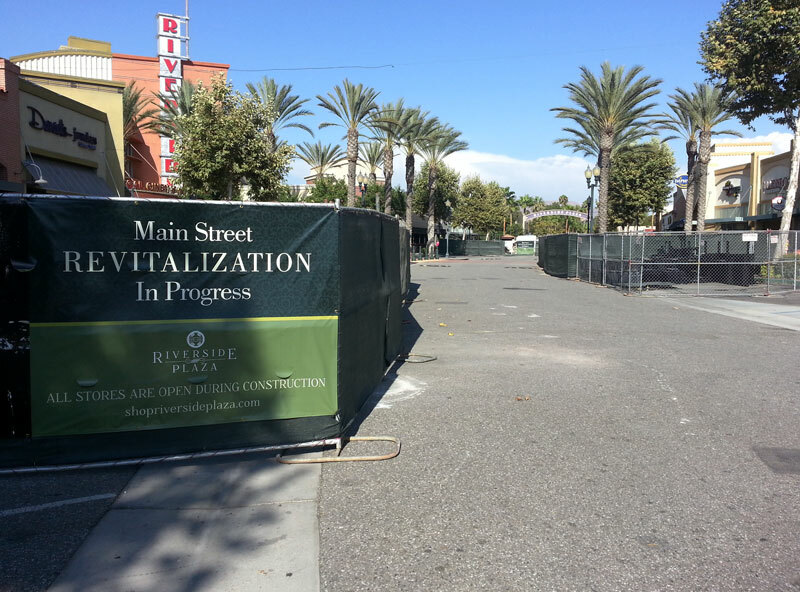 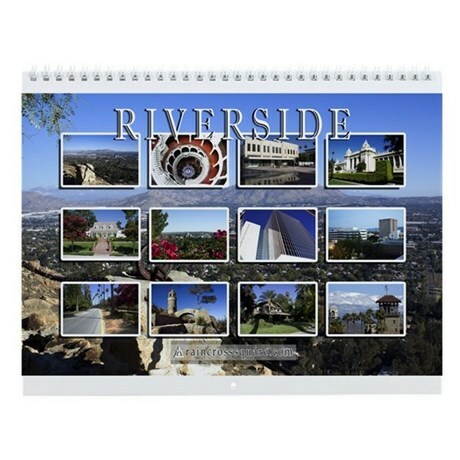 The 3-story building underwent an extensive remodel over the past year as part of a recent, $12 million facelift for Riverside Plaza, which was purchased by Phoenix-based Vestar in September 2012. 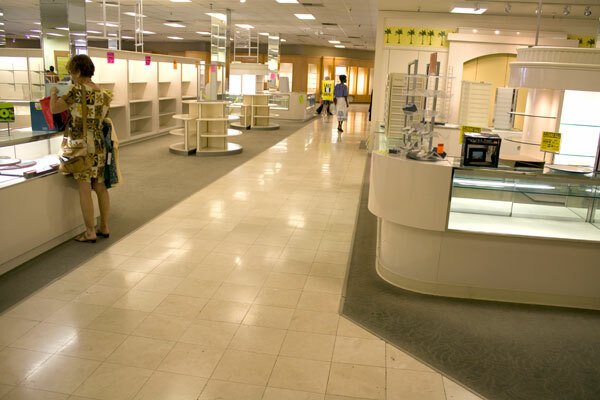 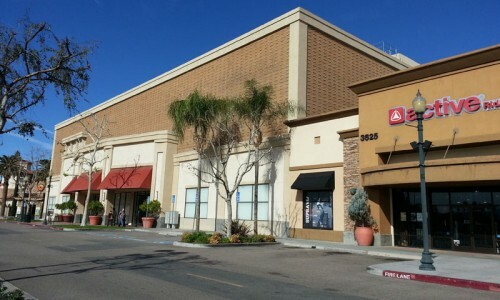 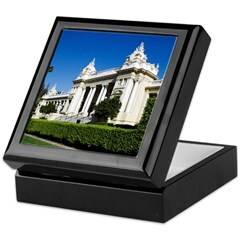 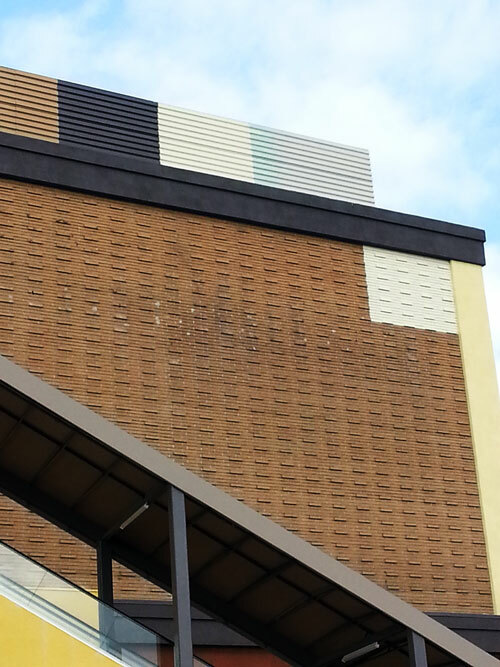 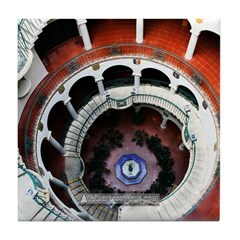 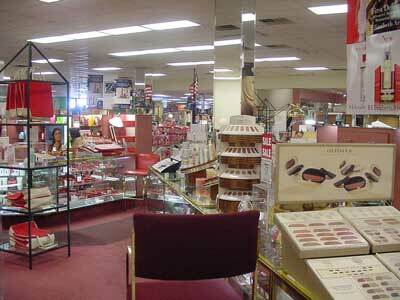 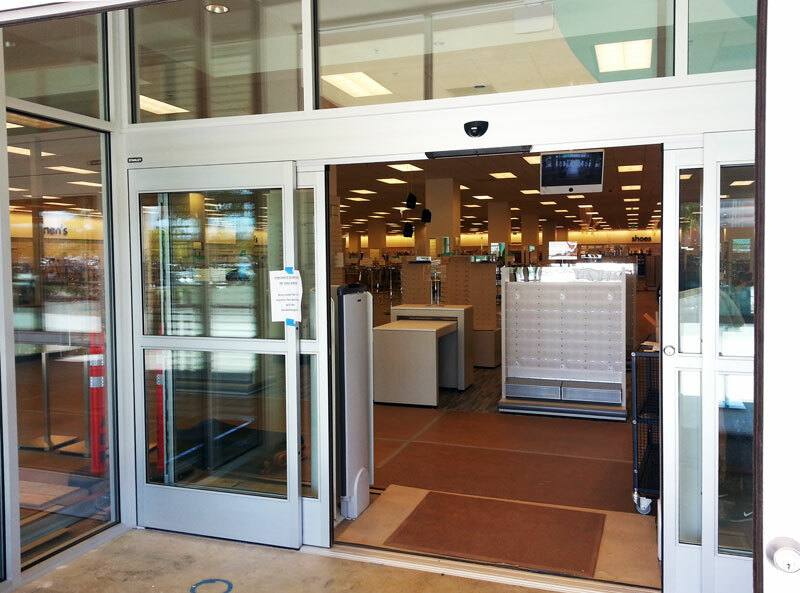 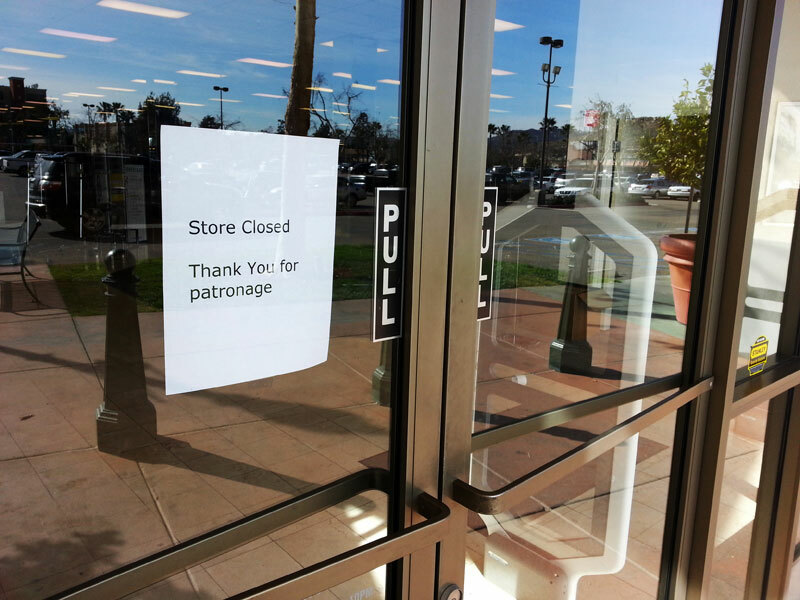 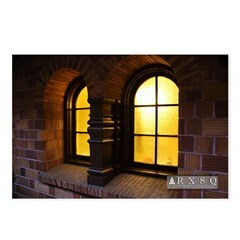 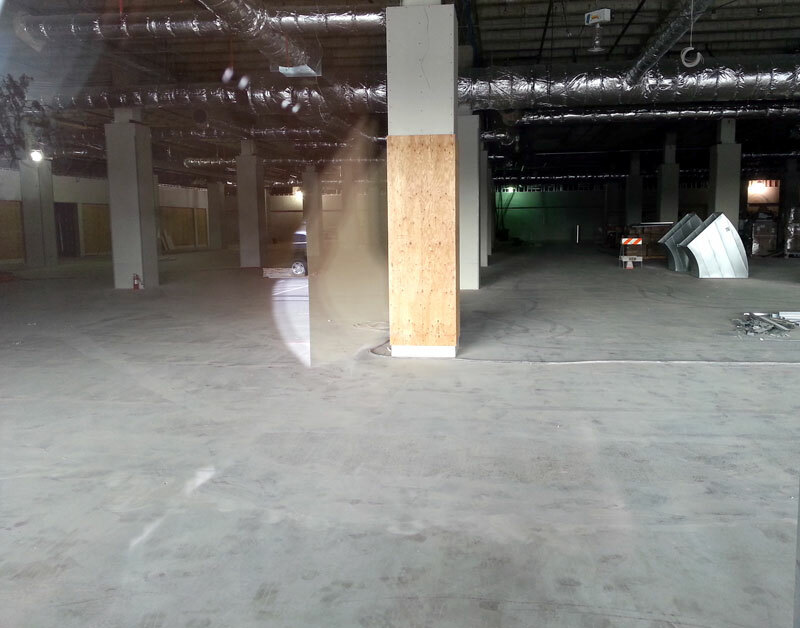 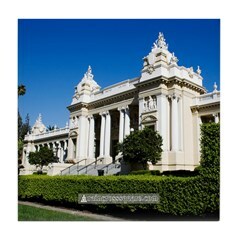 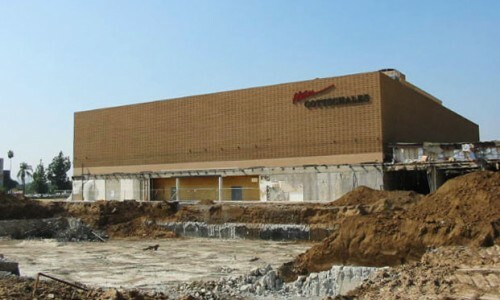 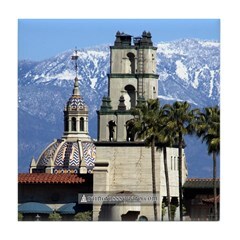 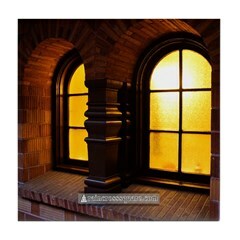 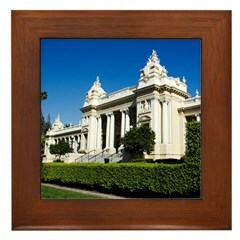 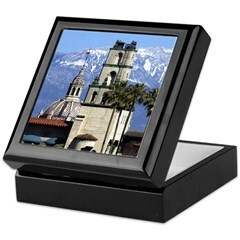 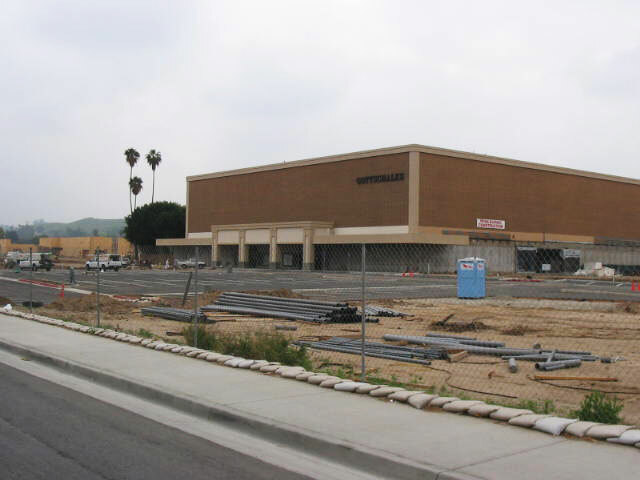 The remodel consisted of a complete gutting of the building’s interior in order to allow for 3-4 separate retail stores. 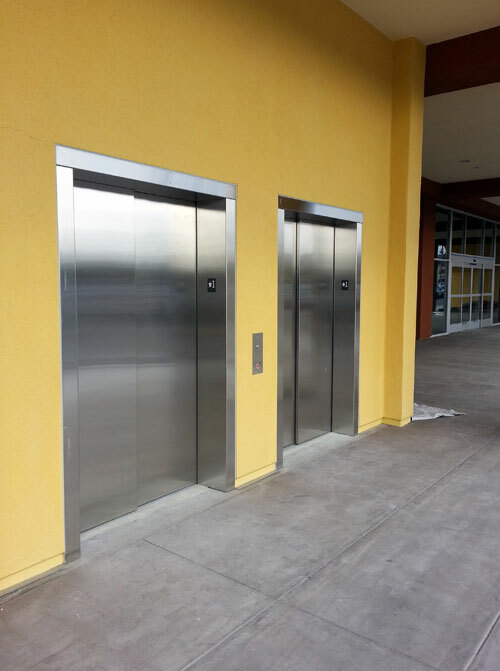 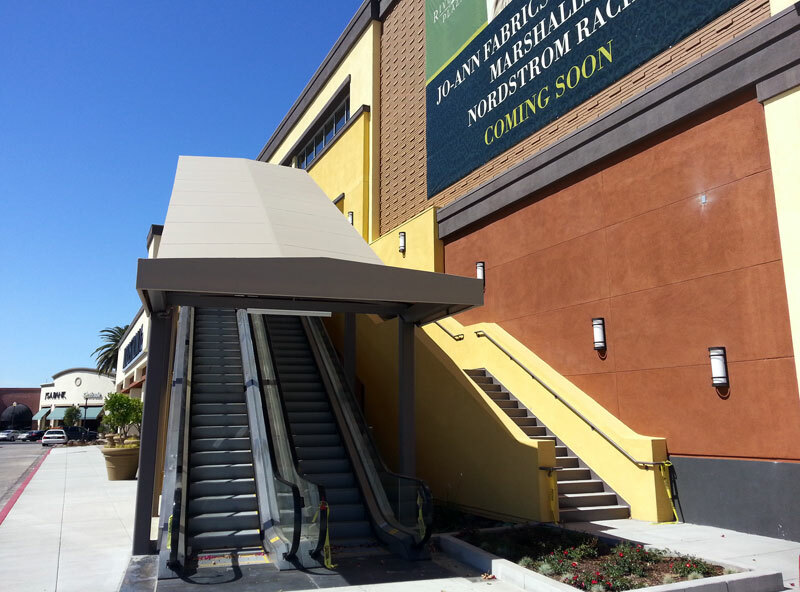 Also included was the addition of an exterior landing attached to the building’s front, granting outside access to the top levels via new escalators and elevators. 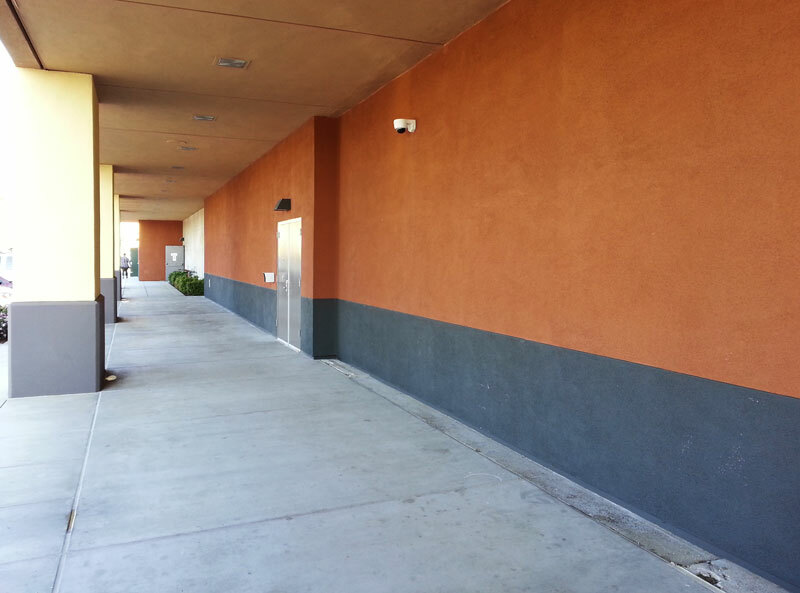 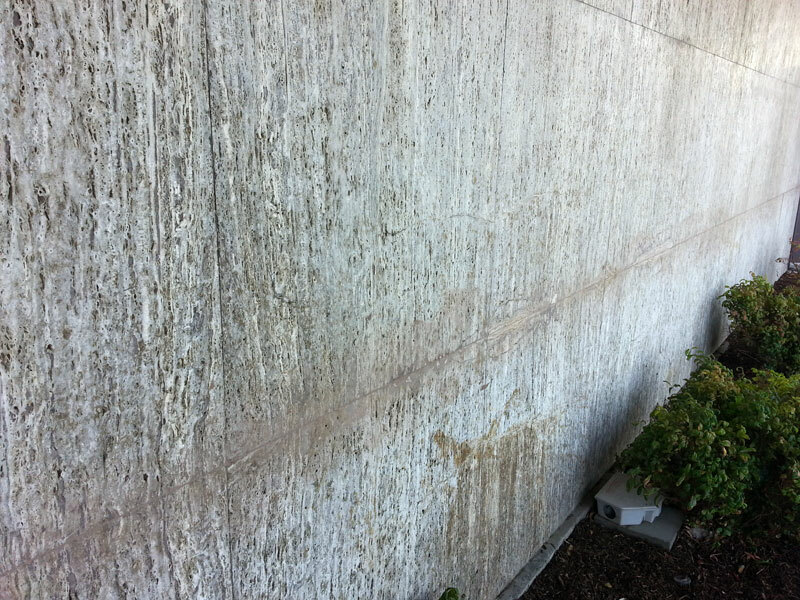 Former ground-level entrances on the north (back) and west sides have been sealed. 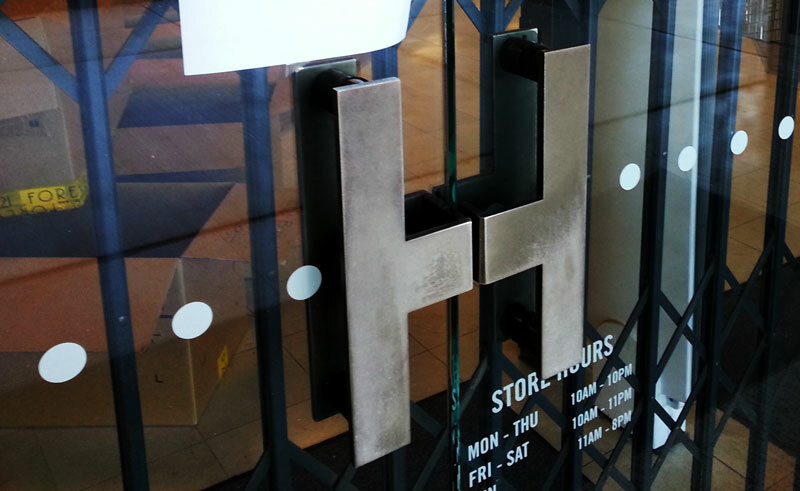 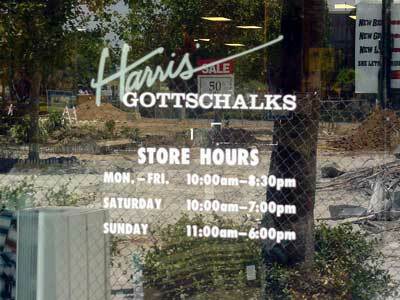 Some exterior remnants from Harris’ are still present, but gone are the “H” door handles that had remained even through Gottschalks. 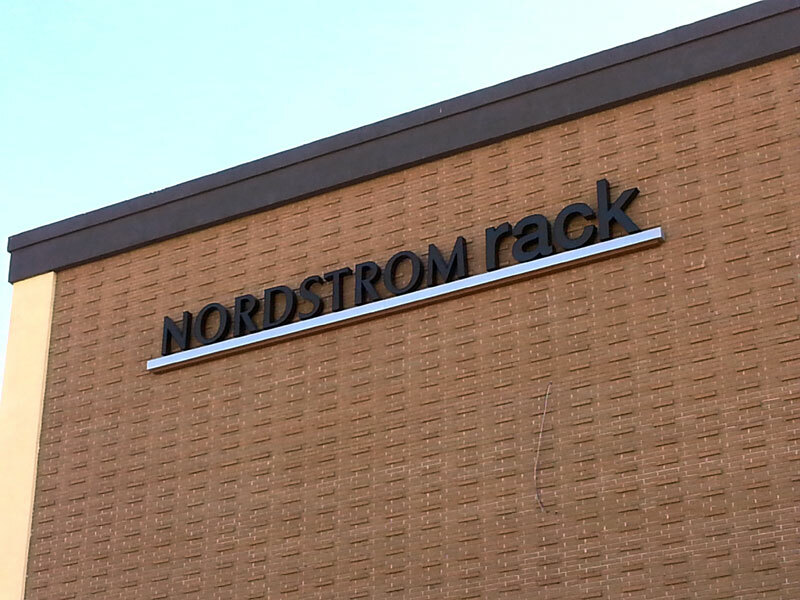 Signage for Nordstrom Rack is already in place. 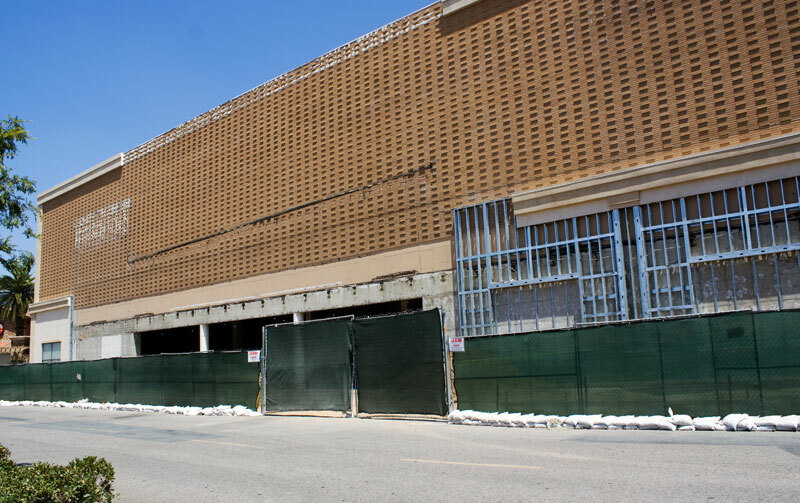 Joining them in the building will be Marshall’s and Jo-Ann Fabrics, with the latter two stores apparently taking up equal halves on the second level. 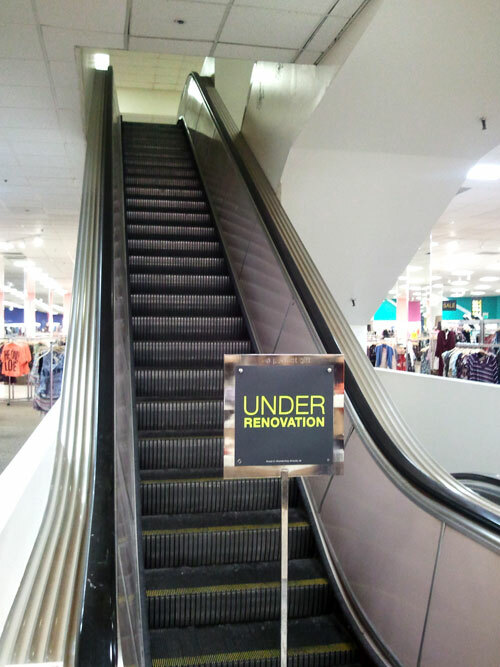 It’s unclear what will become of the third level. 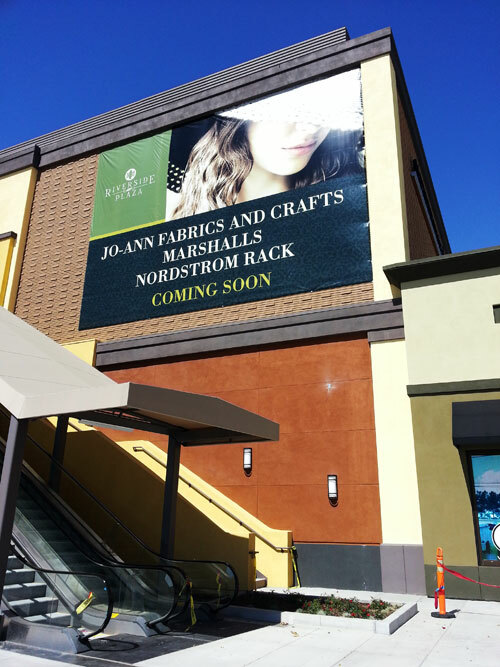 Jo-Ann’s announced opening is May 29, 2014. 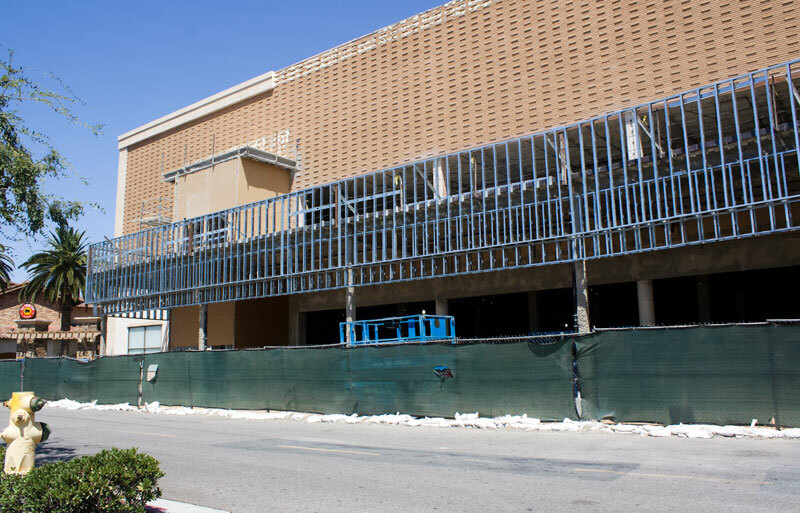 Marshall’s has yet to announce a formal opening date. 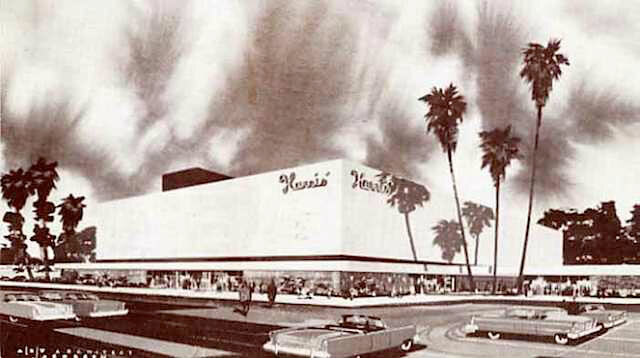 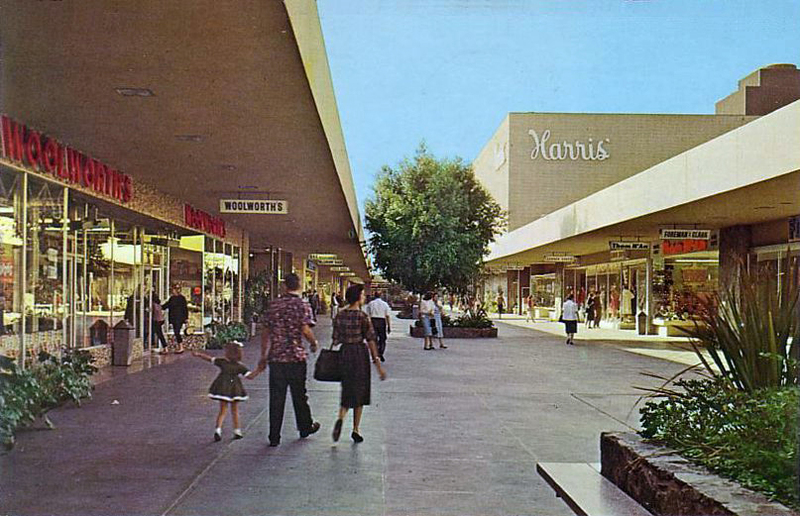 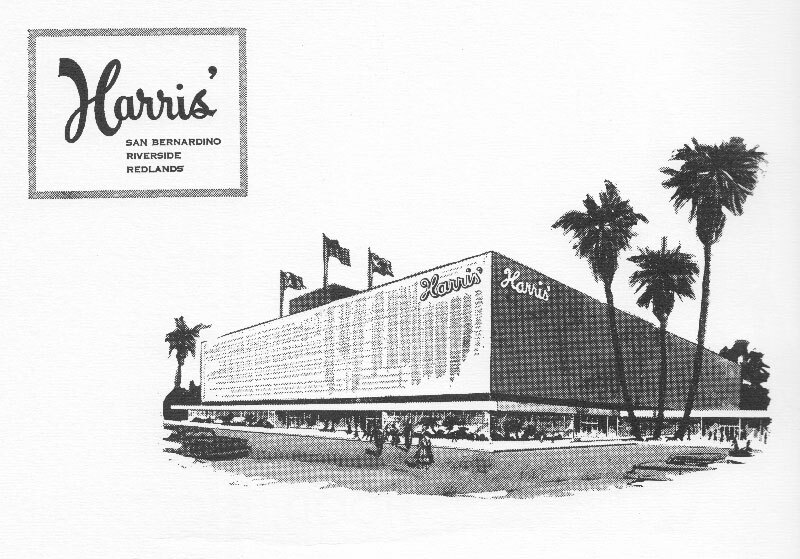 The building opened as Harris’ in late September 1957. 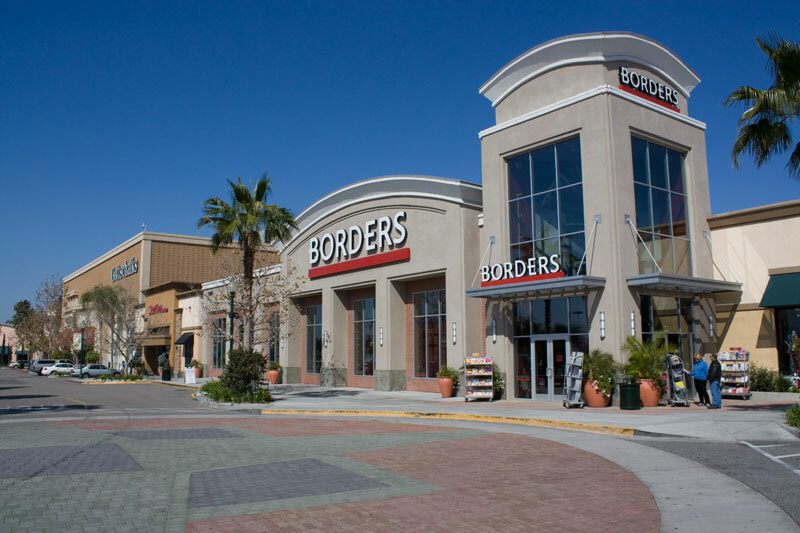 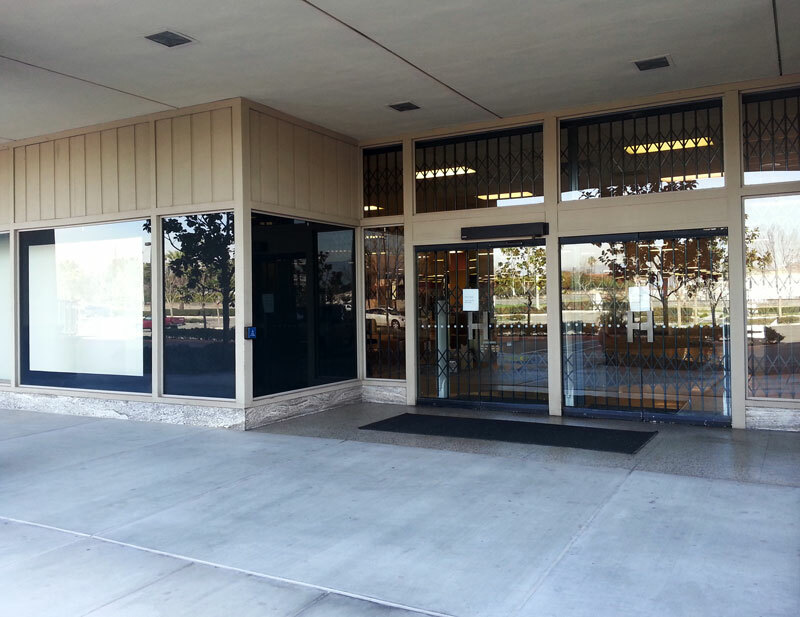 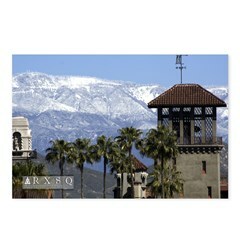 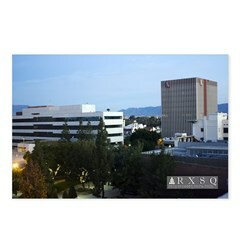 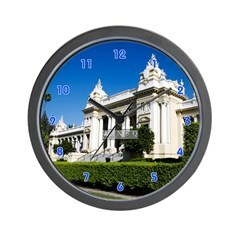 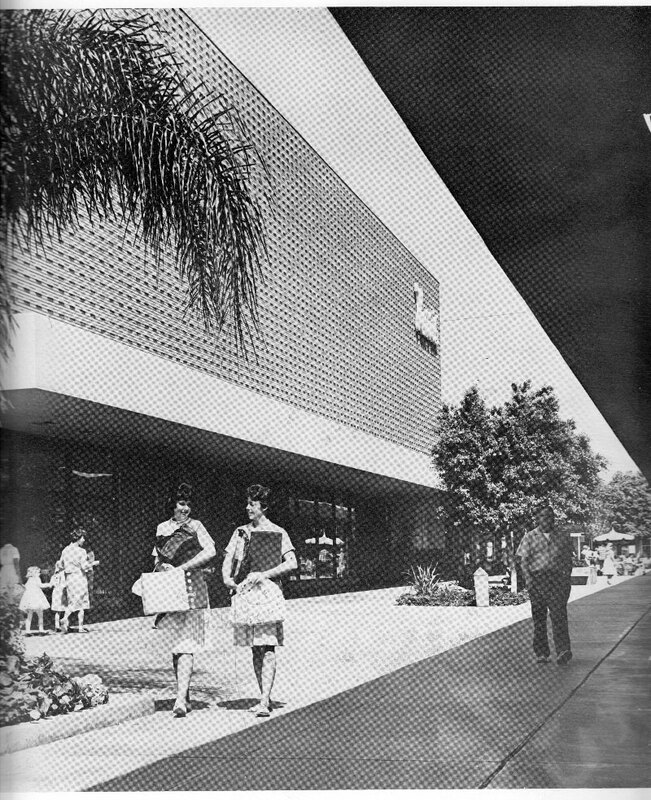 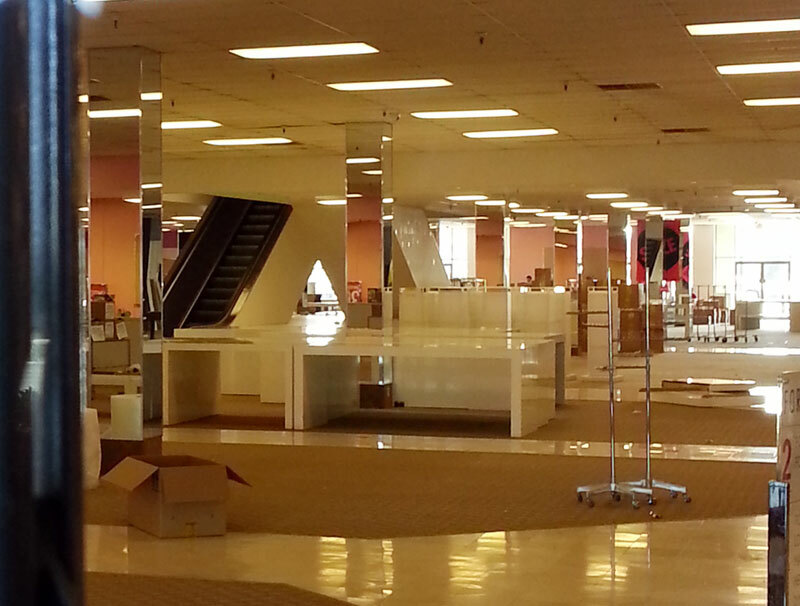 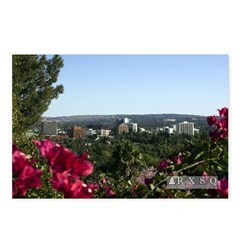 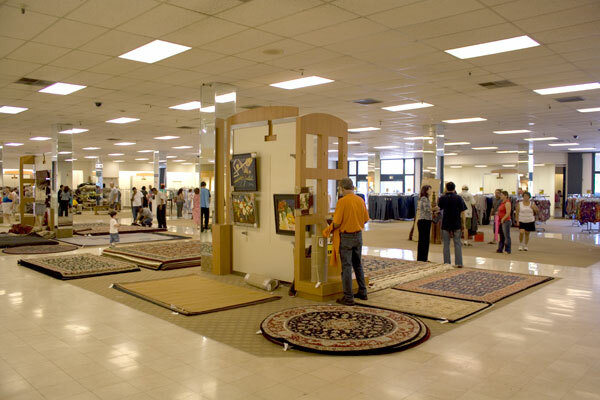 It was the first mall-anchor department store for the once-thriving San Bernardino-based retailer. 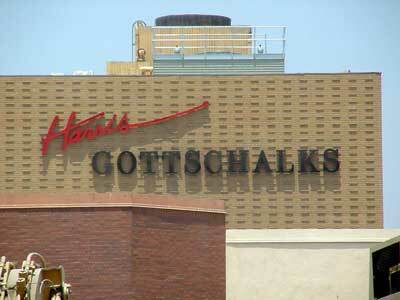 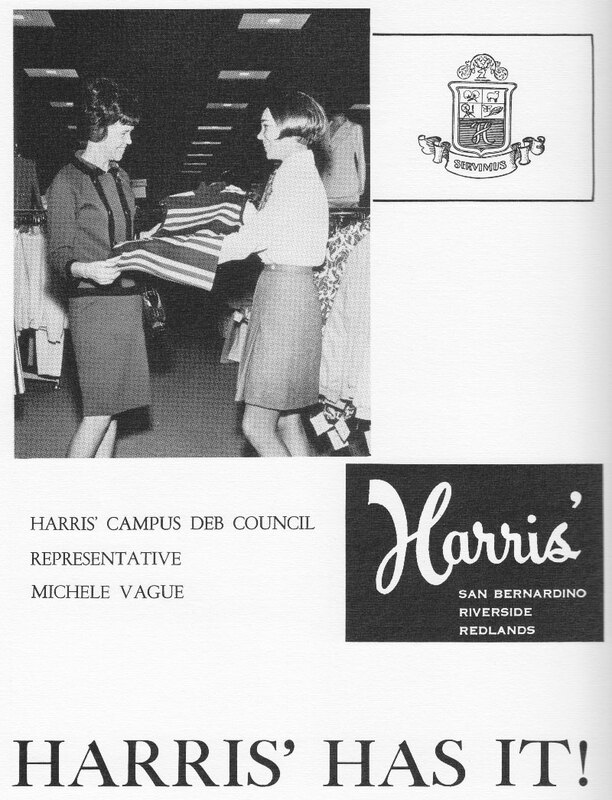 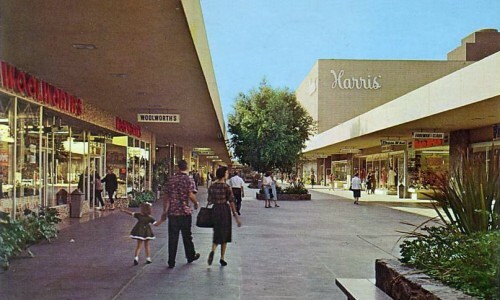 Harris’ was acquired by Spain’s El Corte Ingles in 1981, which later sold the 9-store chain to Fresno-based Gottschalks in 1998, becoming Harris’-Gottschalks locally (and eventually just Gottschalks). 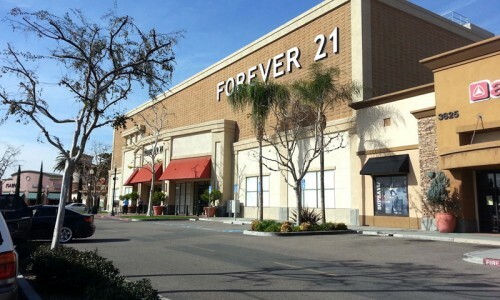 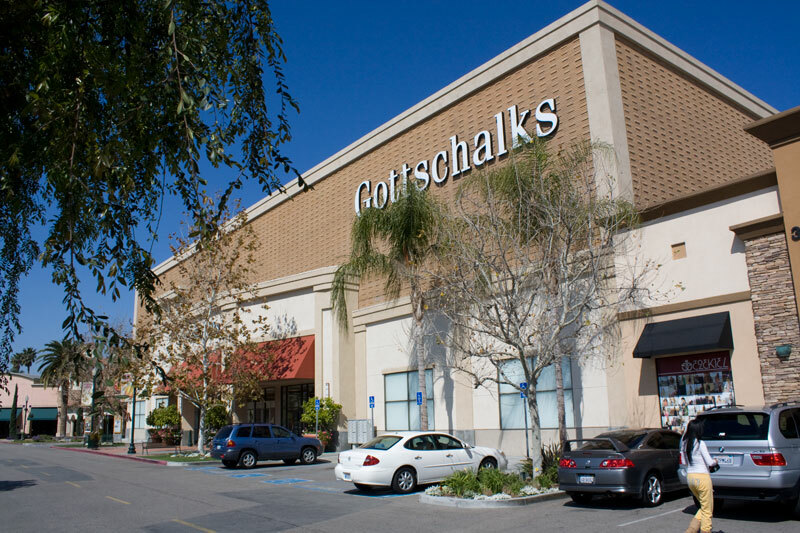 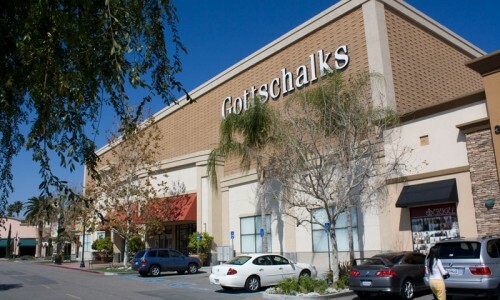 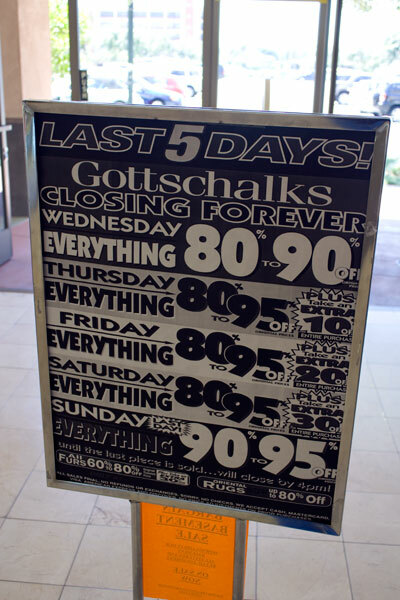 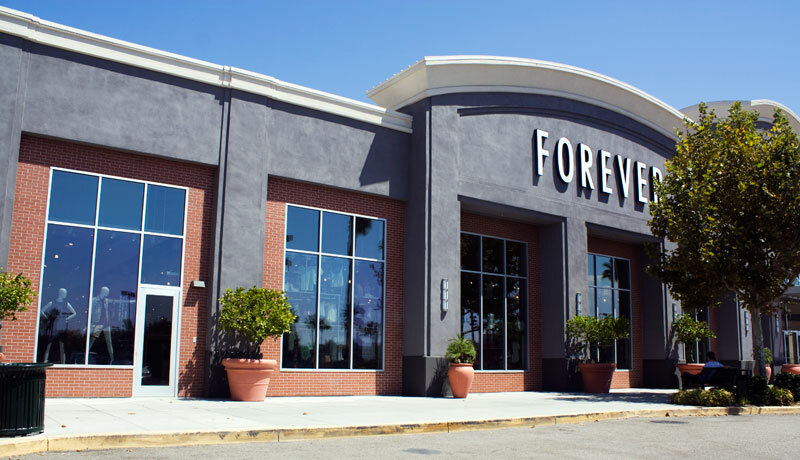 One month after the Gottschalks chain closed in July 2009, the building was snapped up by Los Angeles-based clothing retailer, Forever 21. 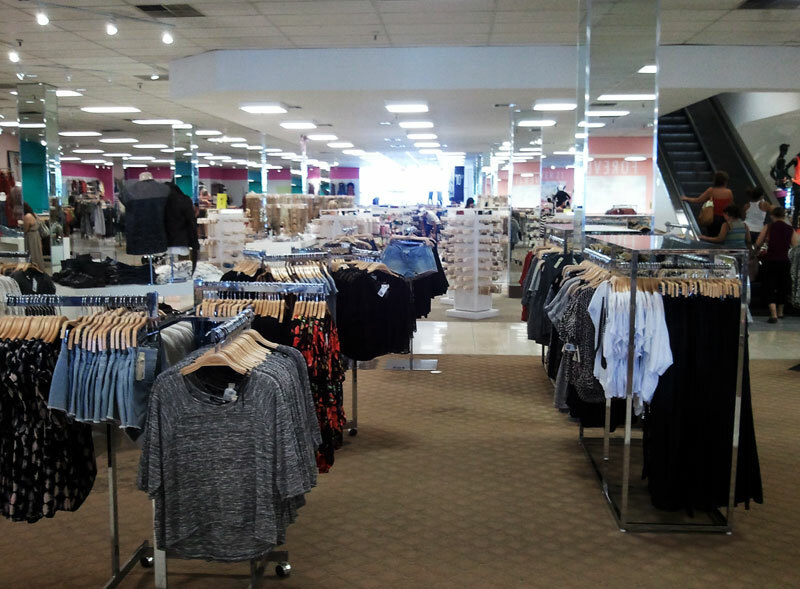 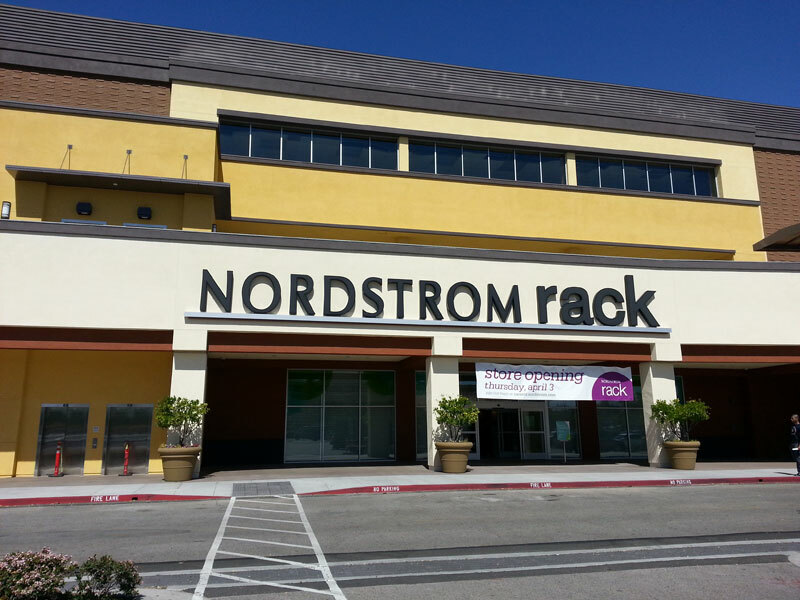 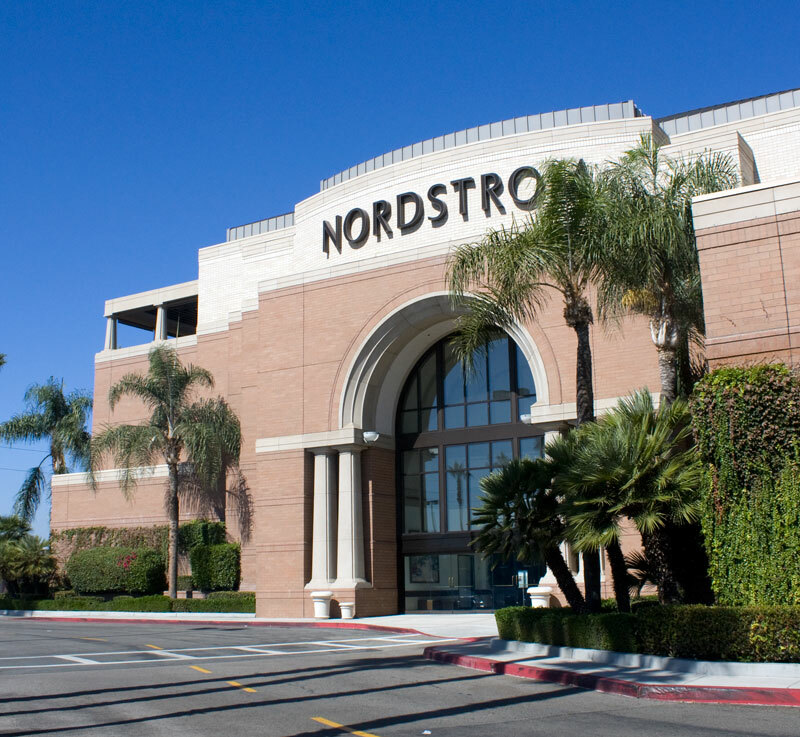 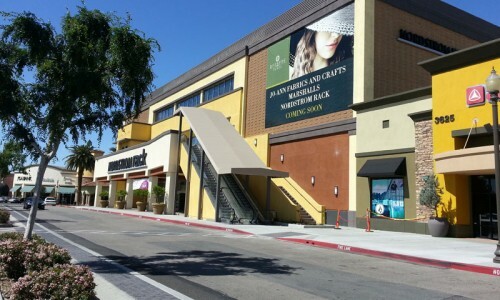 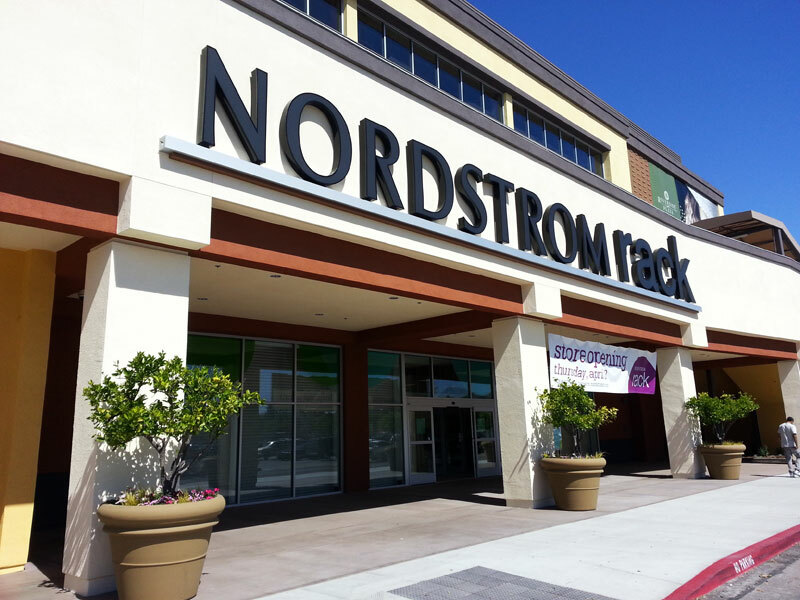 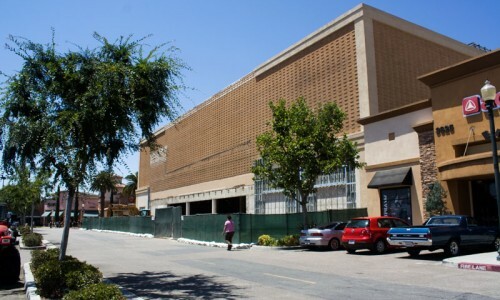 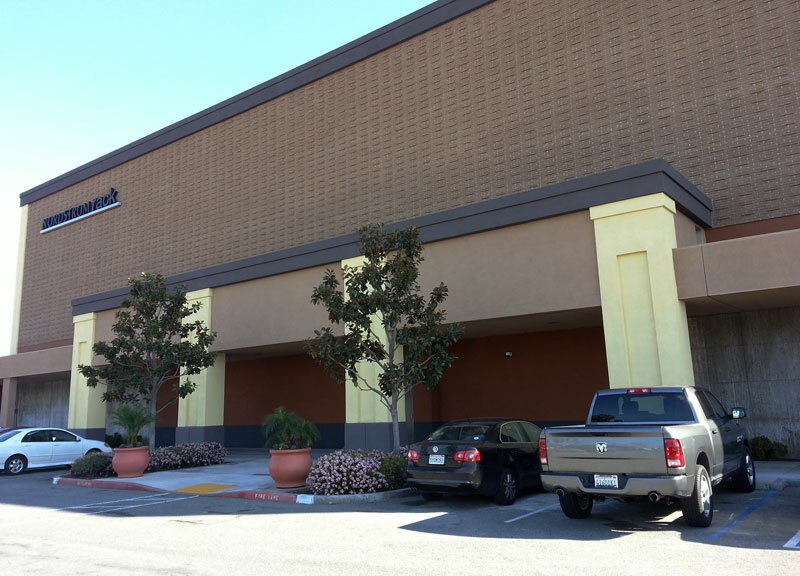 Nordstrom Rack will join a full-line Nordstrom already in Riverside at the Galleria at Tyler. 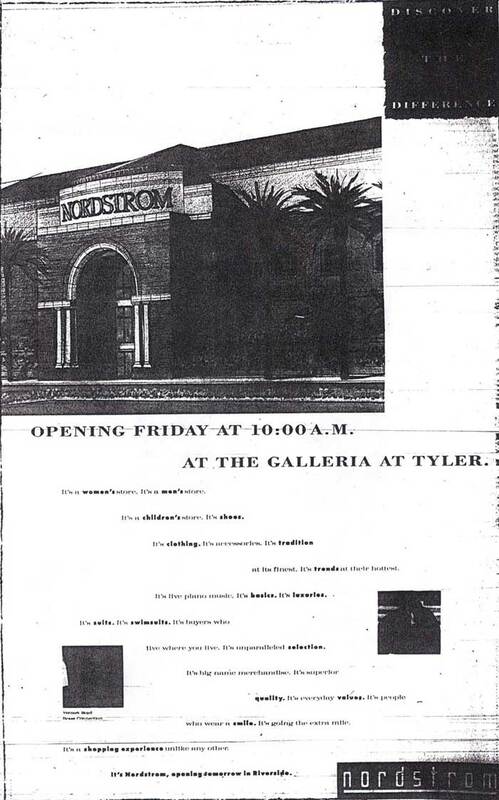 Nordstrom opened in 1991 when Riverside’s Tyler Mall was expanded into a two-level center and re-christened as the Galleria at Tyler.